So much of the work we do in room 235D comes down to students discovering new facets of their reading identity. Whether it means the books they like to read, when they read, or even if they read, all of the work that comes with being a reader is part of what we do. I believe in meaningful goal setting with kids, but I also know that much like us, adults, kids are great at setting goals and then doing nothing to pursue them. They are great at having us set goals for them, relinquishing ownership so that they don’t really need to do anything to work toward them. And so our work has been centered on developing their reading identities through personal goal setting and it starts with the introduction of the 7th-grade reading challenge. What used to be a quantity based challenge is no longer “just” that but now asks students to really think of the reader they are right now and how they would like to grow as they move through 7th grade. The challenge starts with self-reflection. I need to know more about them as readers, but I also need to know how well they know themselves in order to support them well. We do this with a simple survey about their reading habits which they start to fill out on the first or second day of school. After that, we unveil the actual challenge: Set a goal to begin the year, while you are expected to read at least 25 books this year if this is not a stretch for you, then set a different goal. That goal can be a quantity goal or a habit goal. They can choose whatever books they want to read, I will recommend many different types of books but not force them to read different genres. We will, instead, read different genres as mentor texts in our work. Once the survey is filled out and the challenge has been revealed, we meet one on one. I ask questions based on their answers and together we craft a meaningful reading goal for them. This can be anything from reaching 100 books in a year to a goal of simply finding a book they would like to actually read. Because I teach so many different readers, their goals will always be different. And there needs to be room for all of them, as much as I want every child to read many, many books, sometimes where we start is simply by helping them want to read and that needs to be celebrated as an accomplishment as well. They write the goal down on this sheet and we glue it into their reader’s notebook, that way it is accessible when I meet with them again. Who are you as a reader? This question is the baseline of all of the work we do. Often times kids who have negative experiences with reading will not know what to write, which tells me that they are not aware of the facest of being a reader. This then becomes a question that tells me throughout the year how they are developing. How do you abandon books? When do you abandon books? Who are your reading people? What do you do when you finish a book? And then we start with independent reading time, every day, every class, every kid. And I will check in with them as quickly as I can to see how they are doing. They reflect at least quarterly on their goal, if not more. We reflect together and with peers. We celebrate all accomplishments so that all kids can see themselves as accomplished. And we continue to work on what it means for them to be a reader. One text at a time, one conversation at a time, one child at a time. This fits in perfectly with the Reading workshop I will be implementing this school year with my Deaf and Hard of Hearing students. We began book challenges last year with one group of kids and they loved it. 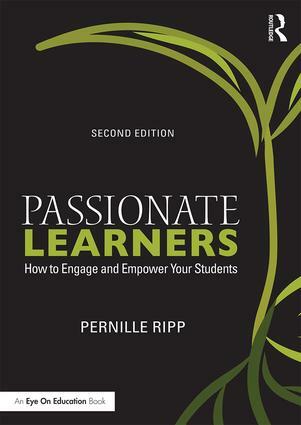 I can’t wait to implement it with all of my readers! What type of challenge would you use in 3rd grade? Hi Pernille, thanks so much for sharing. I met you at a workshop at CESA 3 in Fennimore a few years ago and have followed you ever since. I teach 6th, 8th, and 11th graders and really appreciate this post and your handouts. I have a few questions. On the “Who You Are As a Reader”, do students really get serious and specific when answering that? I am afraid my 6th graders wouldn’t know how to answer that constructively. (I love that question though–I guess I’m asking for examples of what they might say to answer that one!) For “I will reach this reading goal by”, is that a date you want (by April) or an explanation of how they’re going to reach that goal “By reading for 20 minutes every night, etc etc”)? I like how you give the kids some choices in creating their own challenges. Students need to take ownership–but I know it’s necessary to provide guidance along the way;) Thanks! 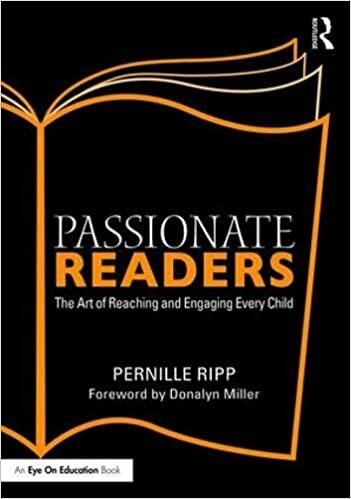 Who you are as a reader is a question we explore all year, so no, some of them don’t know how to answer that which is then the baseline of their reading identity. The timeline is one that they set, they need to really think of how long it will take them to reach that goal. I go much more into detail about all of this in my book Passionate Readers.